In Malaysia, the Malaysian Competition Act 2010 and the Competition Commission Act 2010, are the two primary legislations that underpin the framework of competition law. Anti-monopoly and anti-cartels behaviour in domestic market helps to facilitate the necessary freedom in the market allowing each market-participant to obtain a fair share amount of rewards, in correspondence to their efforts. The Malaysian Competition Commission (“MyCC”) is the primary regulator that administers and enforces Competition law in Malaysia, whereby it was given a range of powers to carry out its task. Due process of law will be strictly followed and adhered to if non-compliance is discovered. Advise clients in competition and antitrust law issues. Review potential anti-competitive agreements, internal processes and practice of the clients’ businesses. 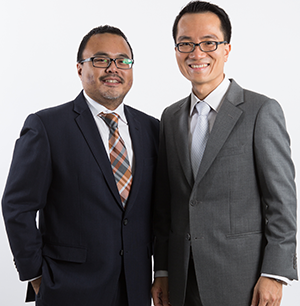 Advise on compliance with the Malaysian competition law and its guidelines. Provide strategic solutions in preventing other parties from carrying out anti-competitive practices against clients’ businesses. Provide client updates on Malaysian competition law developments.